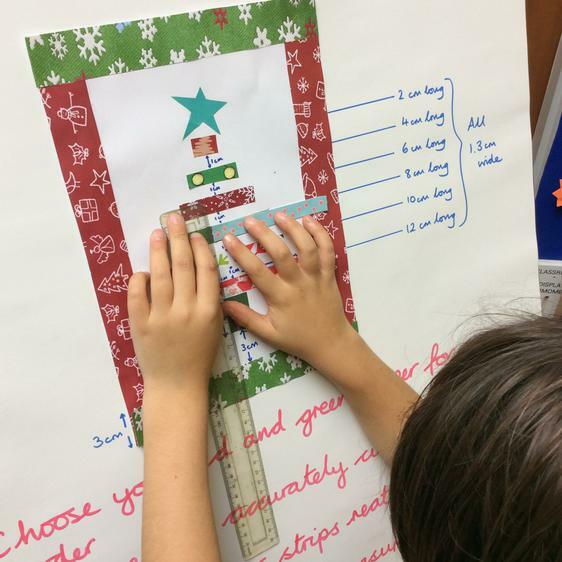 13/10/17 Year 4 Get measuring for Christmas! Christmas may seem a long way off yet but it has already arrived in Raglan! 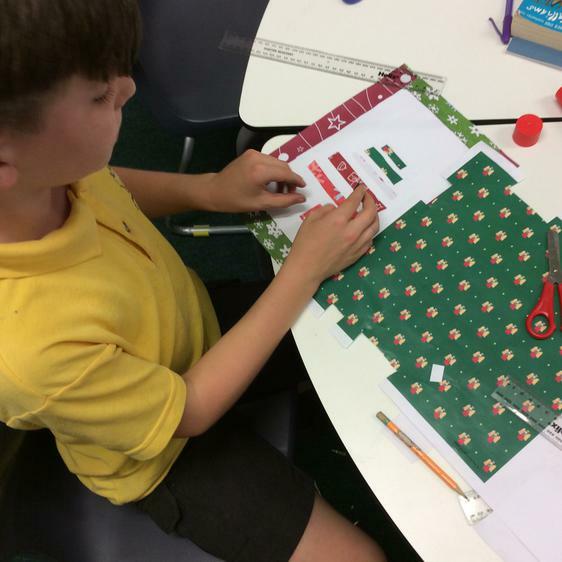 Year 4 have been working hard to use their measuring skills to design their cards for our annual PTA Christmas card sale. 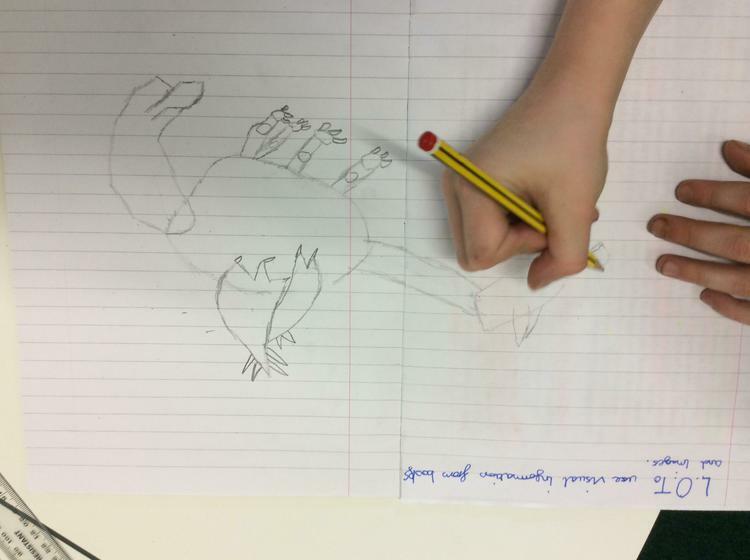 As soon as we have finished our mathematical masterpieces, they will be sent off to the printers to be turned into Christmas cards that can be sent to friends and relatives. Keep an eye out for further information from the PTA. What's been happening in Plaza 2? 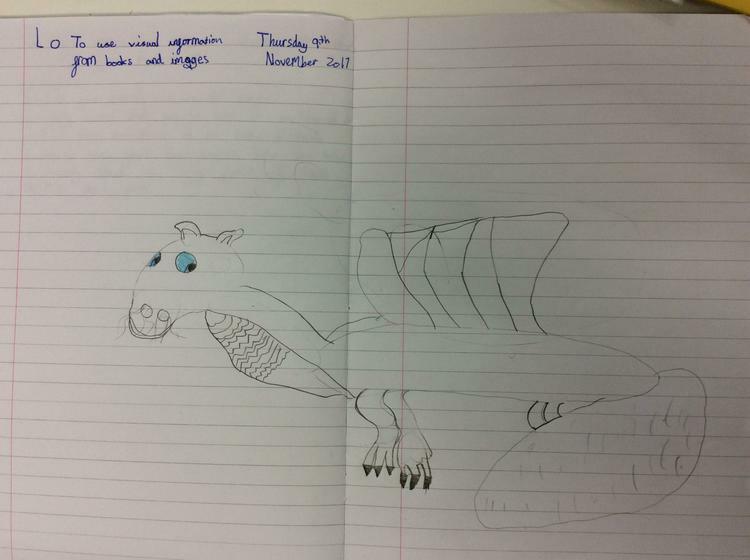 Ms Impey and Mr Bowen have had a great first week with the new Year 3 and 4 children. Plaza 2 has been a really busy place! 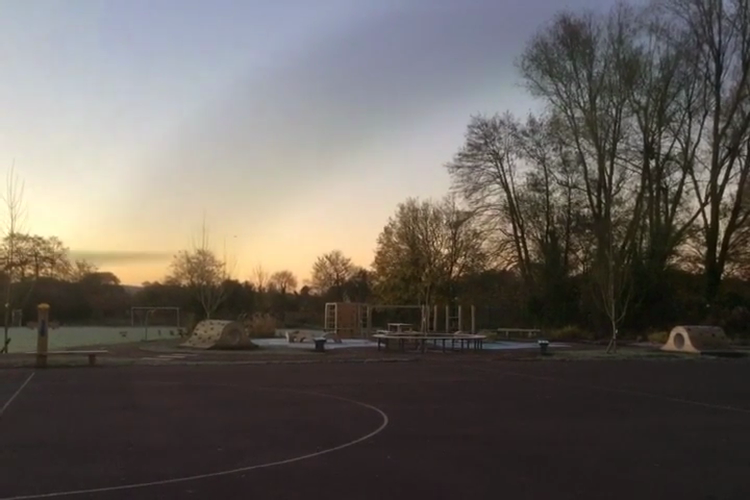 As well as finding out lots about new plaza routines, we had a brilliant discussion about how to make our plaza a happy place to learn and have fun. 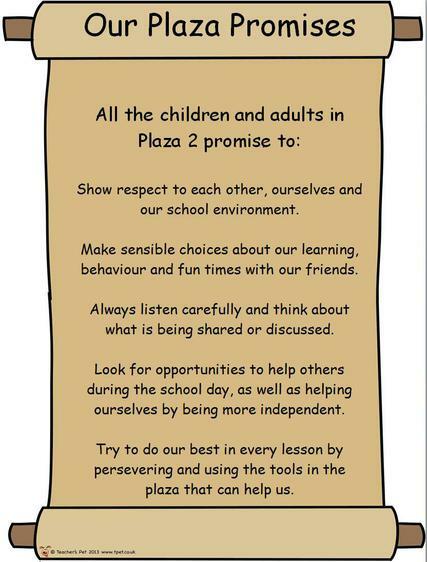 We combined all our ideas into a set of Plaza Promises that we are all going to try to follow, throughout the year ahead. Take a look! 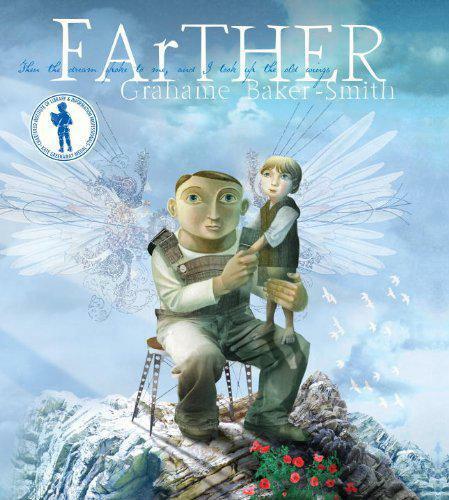 Next week, we will be starting our Guided Group Reading and finding out more about our themes and topics for this term. We will also be starting our PE lessons, on Monday and Wednesday, so remember your PE kit! 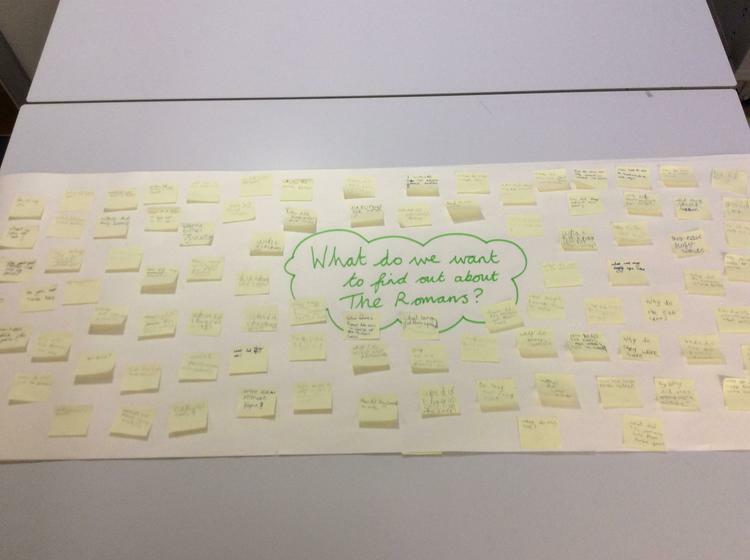 Yesterday, the children in Plaza 2 were introduced to our History topic....THE ROMANS! - Why did they invade Britain? - How did they make and attach their armour? - What kind of footwear did they have? - Did they eat cheese? - Why was it called 'The Roman Empire'? We are hoping to find the answers to these questions over the coming weeks but we will have some expert help next week. We are going to be joined by the historians from The History Squad (http://www.historysquad.co.uk/) who will be leading a Roman Workshop for us. We will find out about life in Roman Times, as well as handling some artefacts and maybe even trying on some armour! This opportunity to further enhance our curriculum has been kindly funded by the PTA. We will give you an update on how it went, next week! 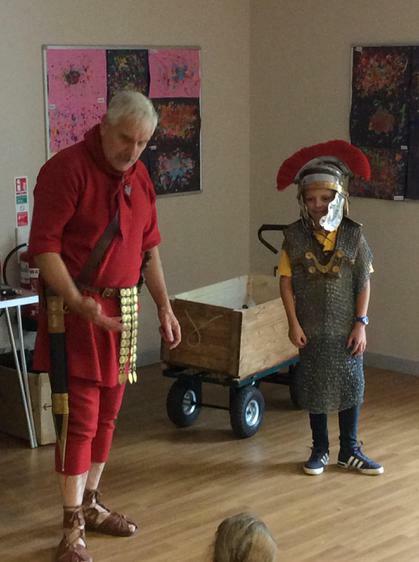 The Romans arrive in Raglan! 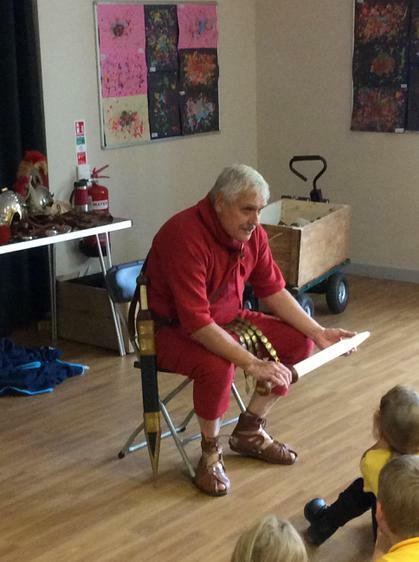 Today our Plaza 2 children had the chance to meet a real Roman (well, at least his ancestors were!). 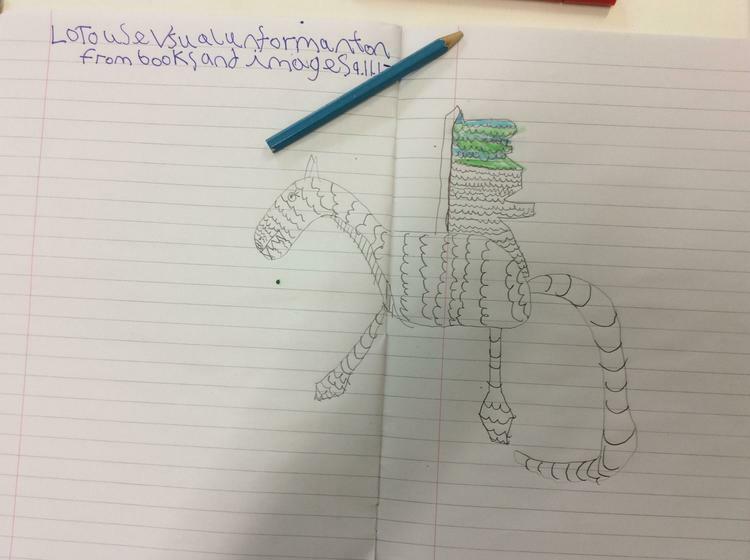 We found out all about the tools that everyday people used, as well as how Centurions would armour themselves and fight. We all handled a short-sword and some of us even tried on the armour. It was very heavy! Thanks again to our PTA for funding the workshop. Well done to our new representatives - they will soon be having their first formal meetings with the whole school council/eco committee, as well as helping to lead our Friday Celebration Assembly. 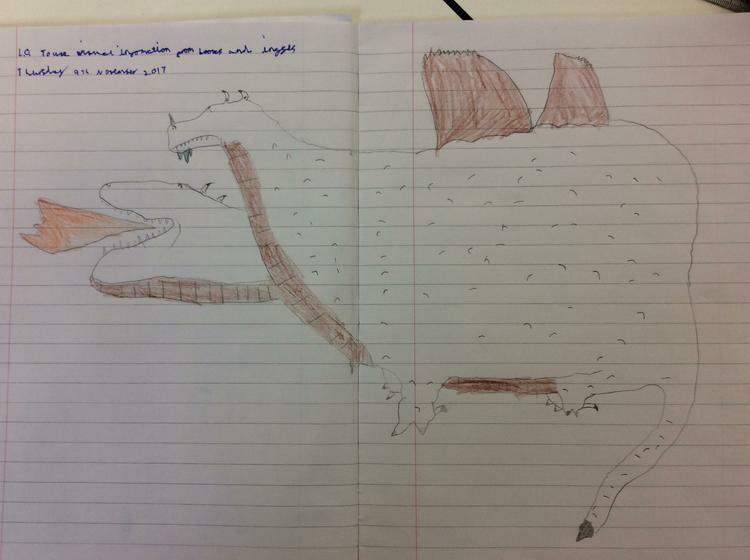 Year 4 have had a brilliant start to the school year. They are working really hard every day, trying their best to learn new skills, whilst also becoming more independent. This means we are all busy, all the time! 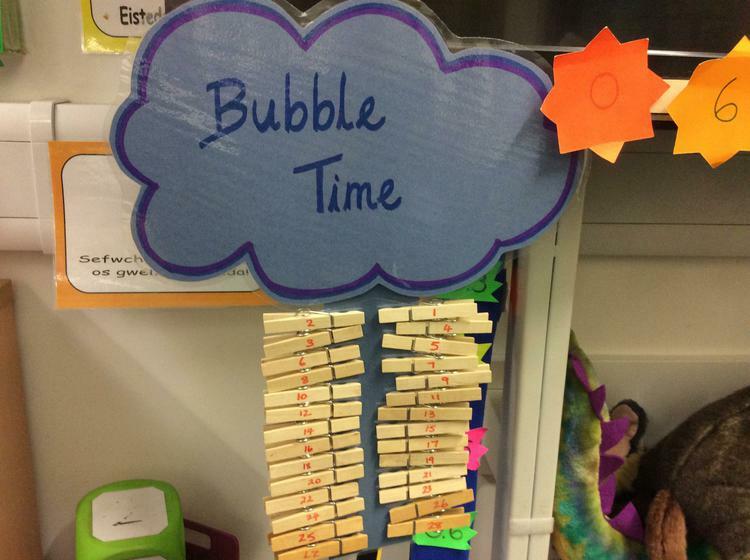 However, sometimes we all have worries or concerns that might distract us from our learning and for these occasions we have Bubble Time. Every child in Year 4 has a numbered peg. During the day, if any children have a worry, concern or just some information they want to share with Mr Bowen, they just need to clip their peg on to the bubble. Mr Bowen will then make sure that he finds an opportunity for a 5 minute, individual conversation. 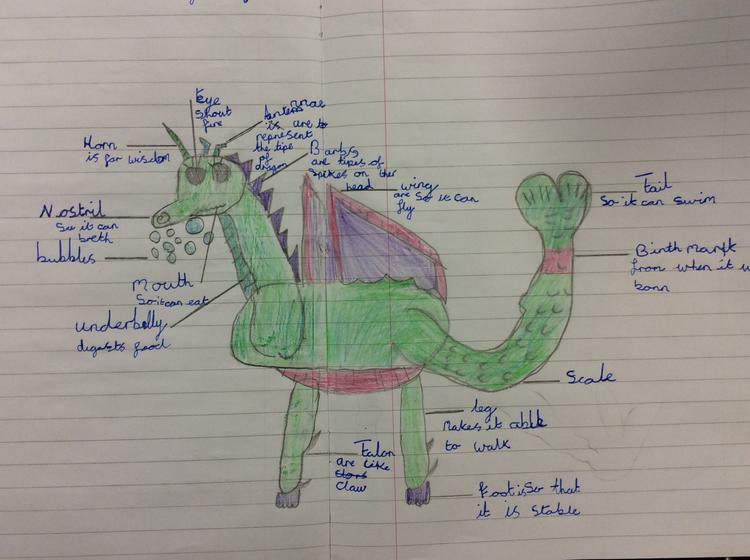 This has been working really well since the start of the term and it shows that Year 4 are also beginning to take more responsibility for their own wellbeing. 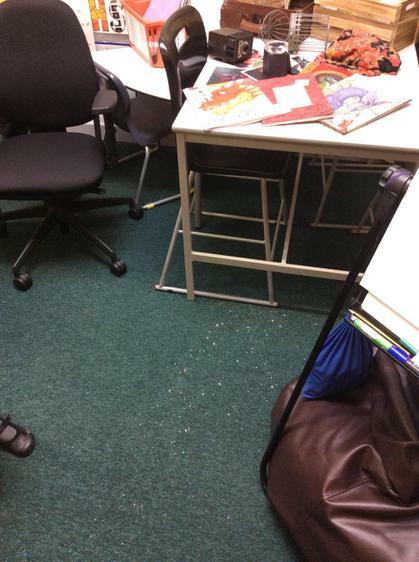 Parents - if your child has any worries at the start of the school day, encourage them to pop their peg on the bubble when they get here. By talking together we can usually ease any concerns quickly and simply. 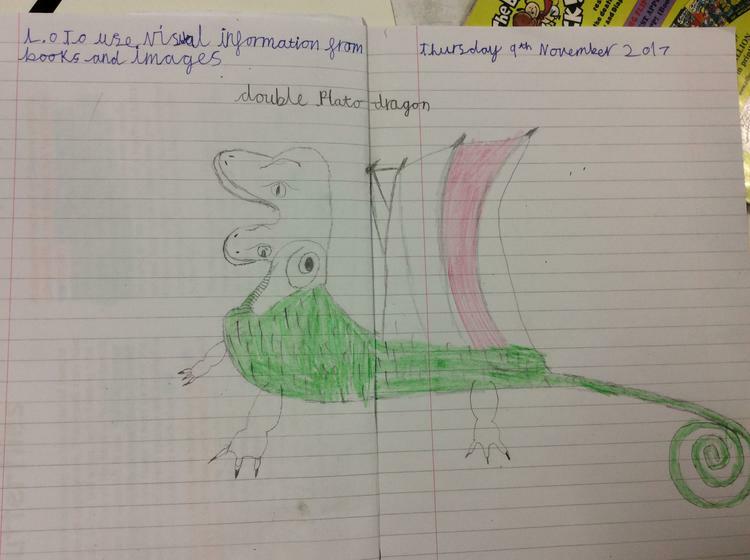 Plaza 2 are hoping to be involved with the annual Spring Bulbs for Schools scientific research project. 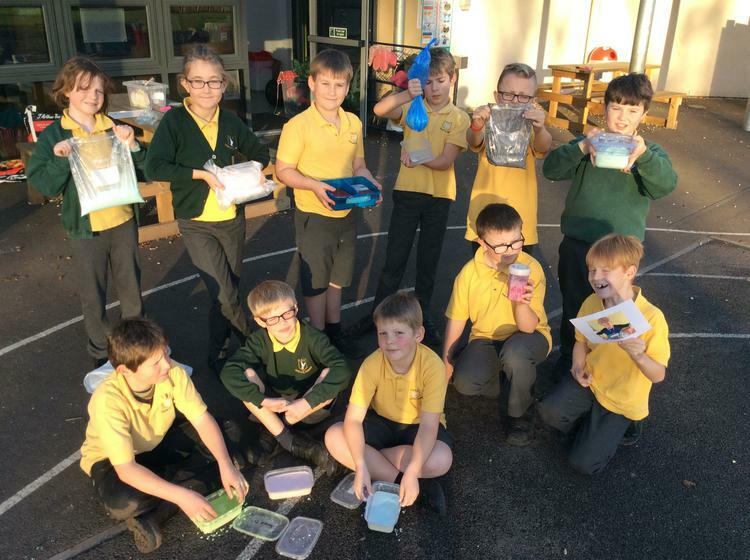 Since October 2005, primary school scientists across Wales have been keeping weather records and noting when their flowers open, as part of a long-term study looking at the effects of temperature on spring bulbs. We will hopefully be taking delivery of the bulbs within the next few weeks. As it is part of a large scale study, we will be given a specific period of time when planting must take place. If you feel you could offer some time, at relatively short notice, to help us plant the bulbs then please provide your details below with some indication of your availability and we will be in touch as soon as we have any further information. Today, Professor Plant from the Spring Bulbs project wrote a letter to Plaza 2 to ask us for our help. The Professor is interested to find out why some plants seem to be growing at different times than he would expect, whilst some wildlife also seem to be changing their normal patterns of behaviour. 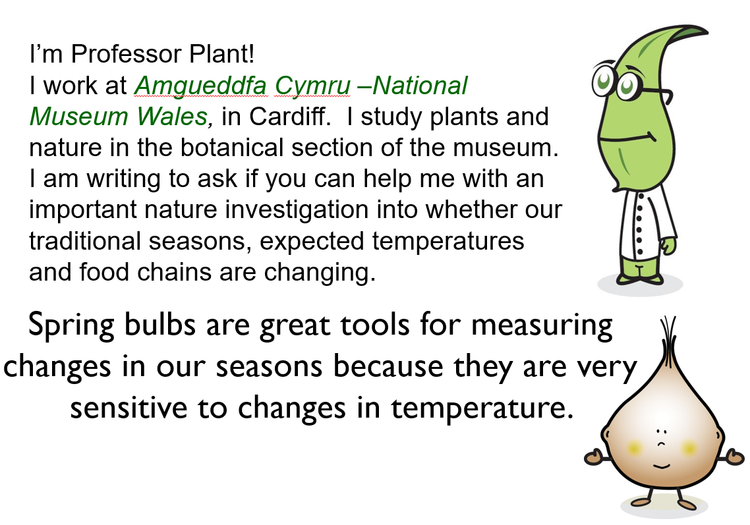 We will be planting our bulbs on the 20th October and then collecting weather, temperature and flowering data for our plants to help Professor Plant with his investigation. 20/10/17 Year 4 graduate their pilot exam! 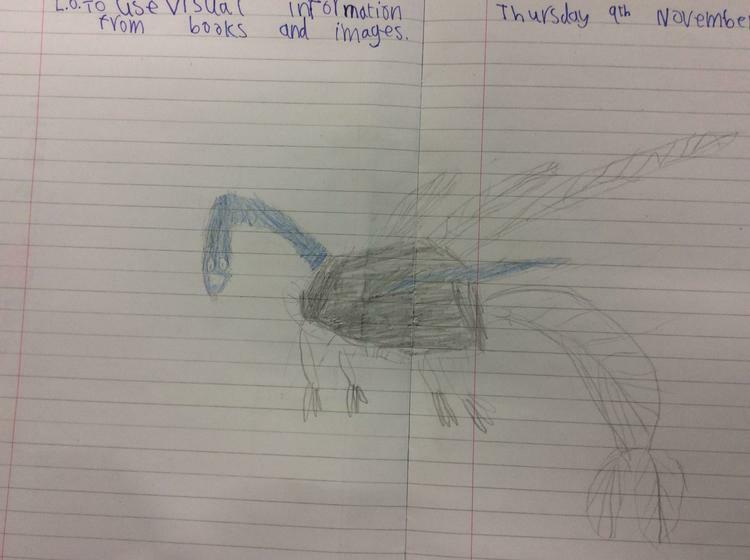 This morning saw the culmination of this week's cross curricular learning; Project: Flight! All the children managed to successfully prove their design, measuring and team working skills and, as a result, earned their pilot licences. 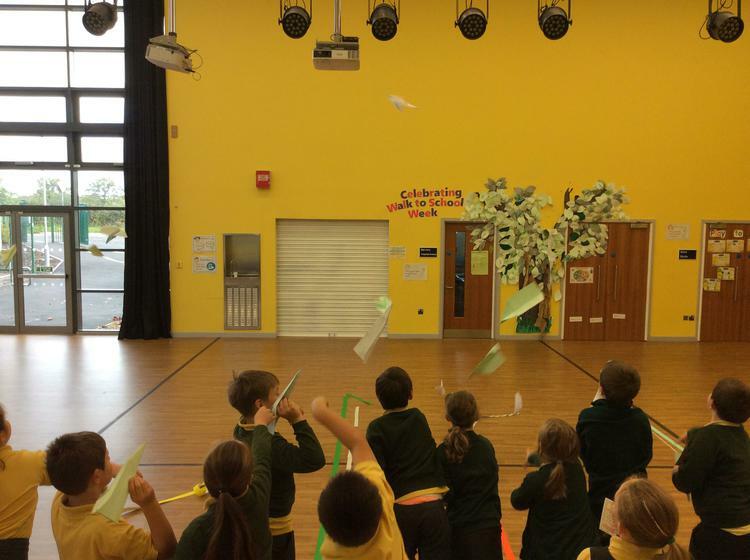 We then tested various different paper aeroplane designs using our self-measured testing runways and found out more about aerodynamics and fair testing. We all had a great time - we may have even spotted some plane-designers of the future! 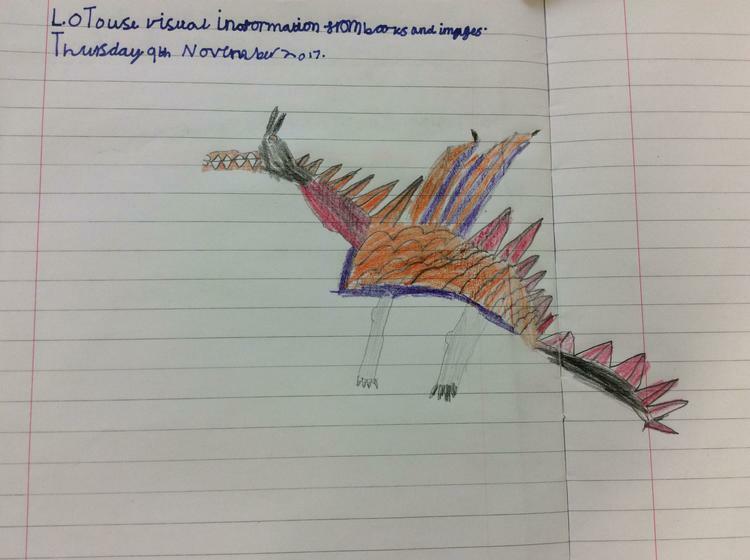 3/11/17 Mr Bowen passes Dragonology exams with flying colours! Good news, Year 4! 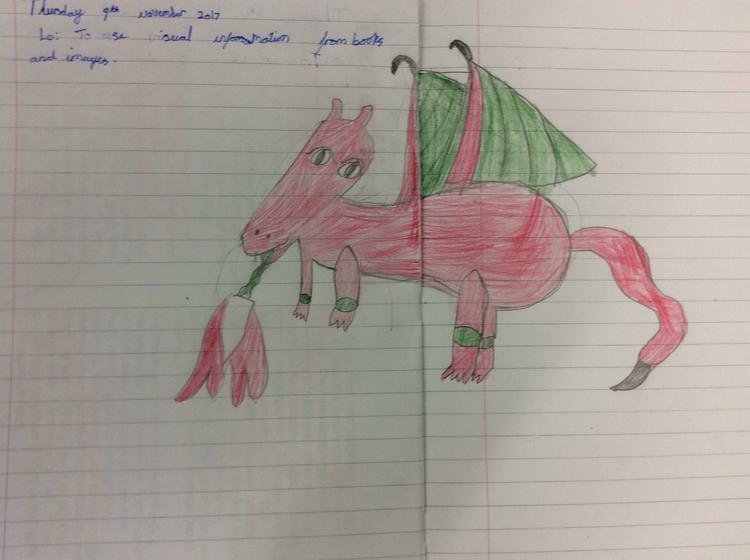 Mr Bowen has successfully completed his Dragonology training and can now officially train apprentice dragonologists. 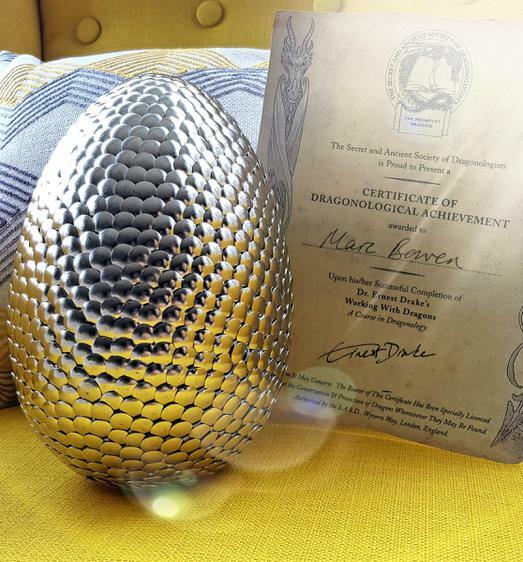 He did so well with his training, he has even been given some dragon eggs to care for! 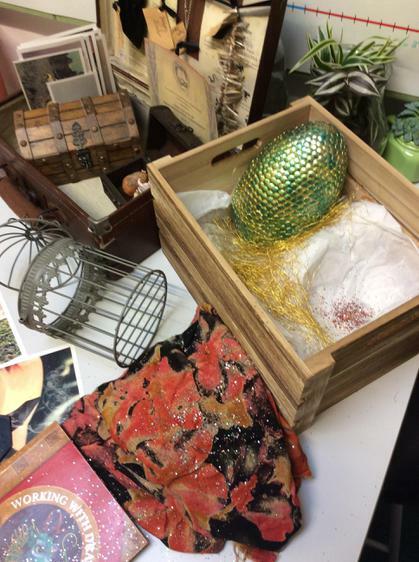 He also has lots of photographs and artefacts to share with you next week. 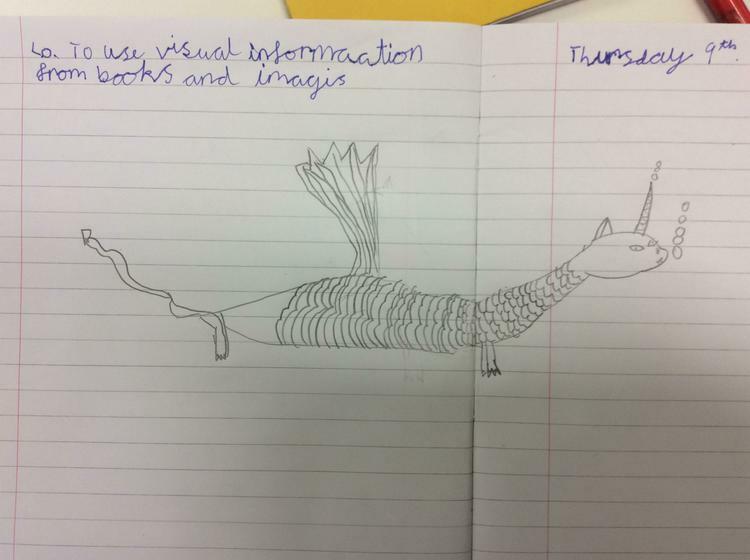 Remember, if you have any pictures or information books about dragons, bring them in next week! 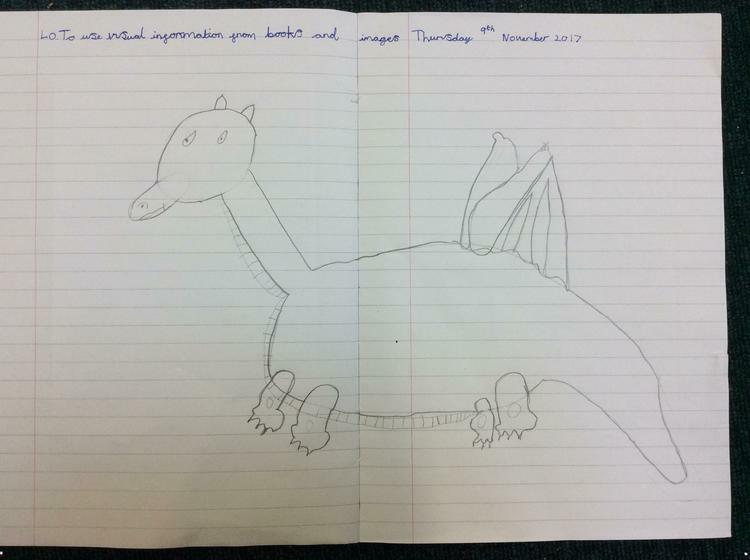 Having survived his Dragonology training, where Mr Bowen learned how identify, care for and protect Dragons, Year 4 have now been taken on as Dragonology Apprentices. 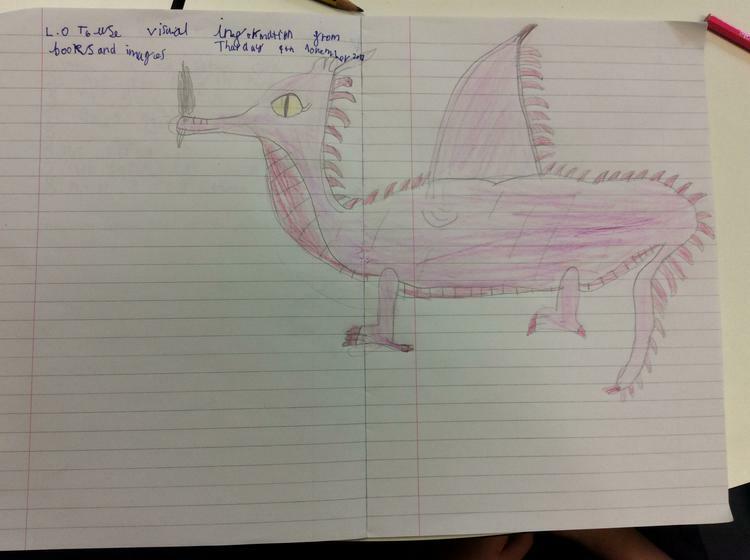 Today, they researched the different species of dragons that might be found in different landscapes and explored a number of different non-chronological texts all about these mythical creatures. 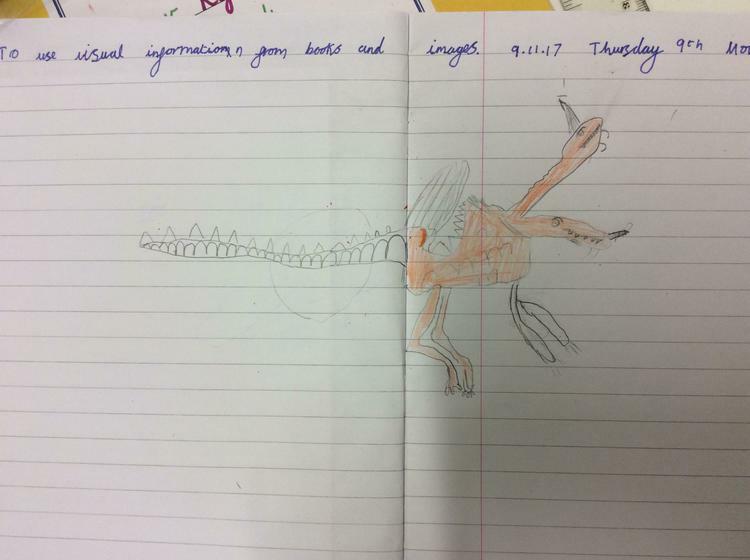 It was really helpful that Rowan was able to share his own Dragonology book with the rest of Year 4. 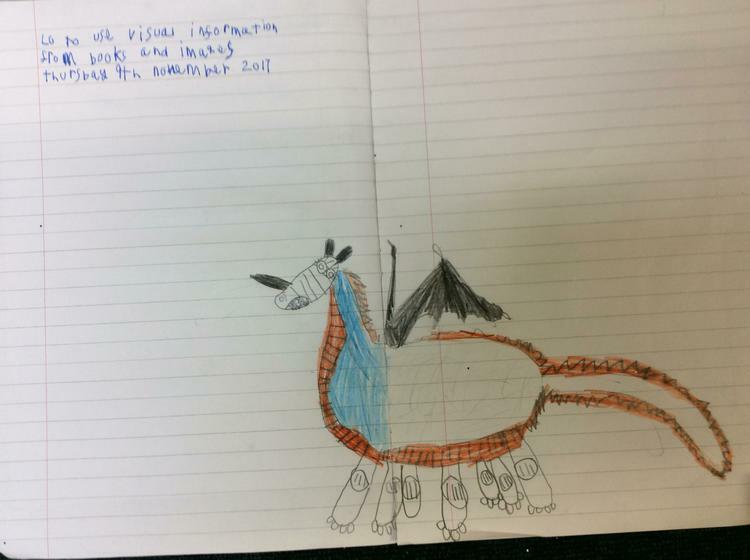 We also started to find out about Dragon families and how they link to factors and multiples in Maths - more of that tomorrow! 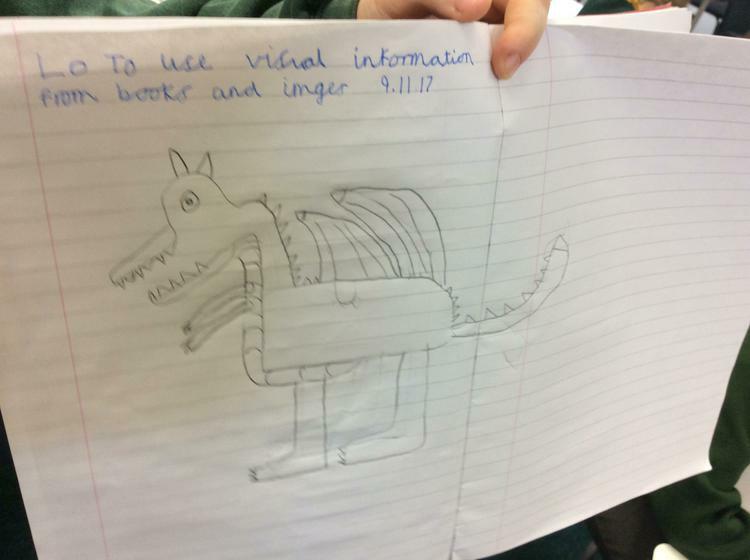 In addition, we started a piece of collaborative artwork, depicting our vision of what a world filled with dragons might look like! 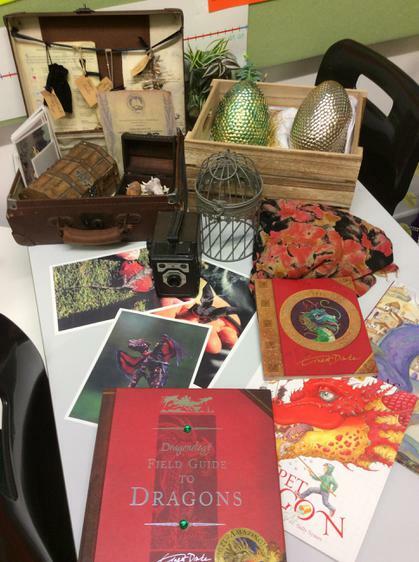 Here is a picture of Mr Bowen's Dragonology kit and some of the books we have been exploring. 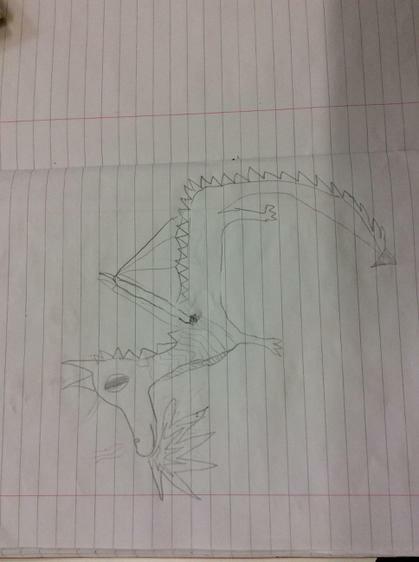 After a lot of looking, Mr Bowen managed to find the newly hatched dragon - fortunately he is friendly. 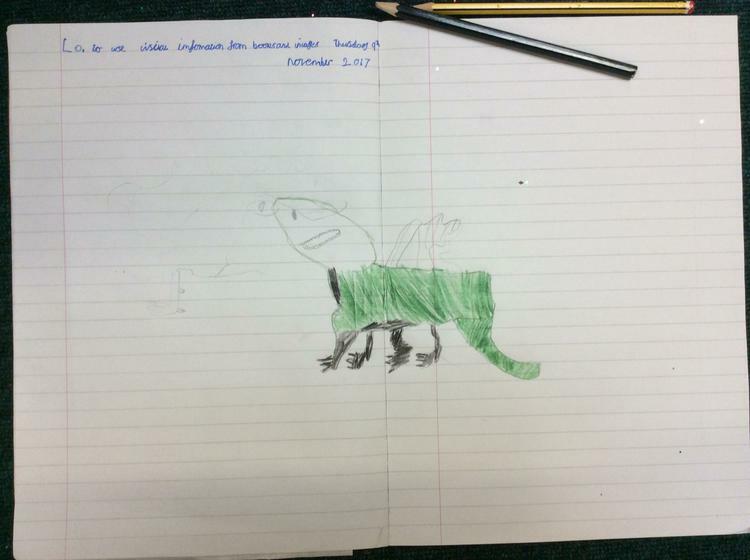 We are yet to find a name for our new friend but he did inspire us to add more information to our dragon pictures, turning them into dragon diagrams ready for our non-chronological reports. 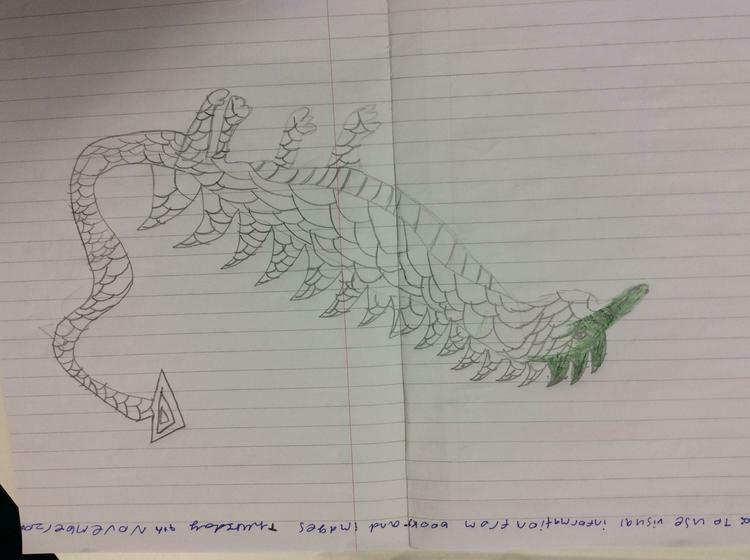 Mr Bowen has a close encounter with a dragon! 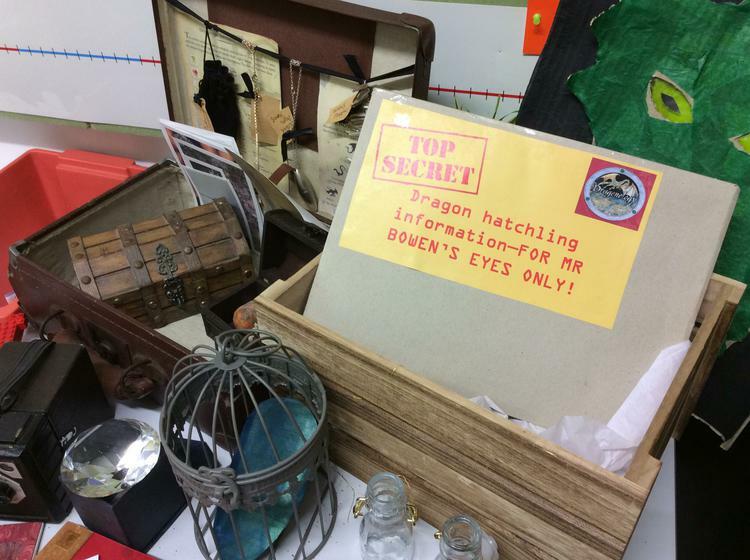 Over the weekend, Mr Bowen was called into school as the second dragon egg had hatched. 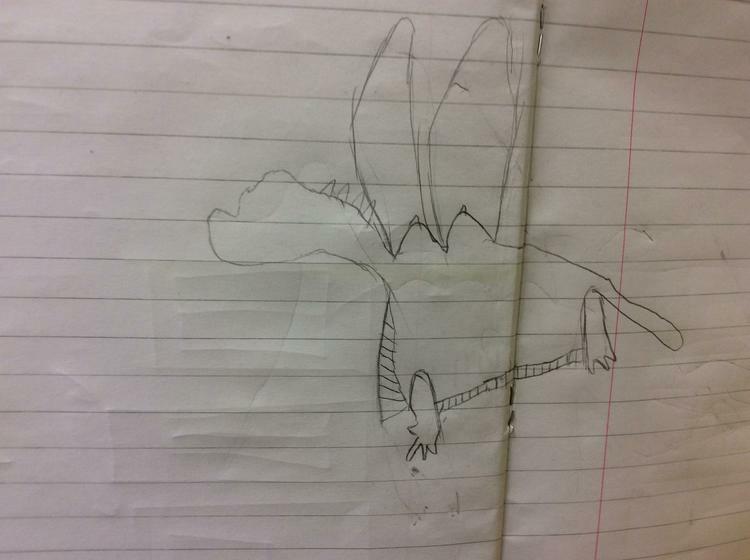 Unfortunately, this dragon was a little too much for Mr Bowen to handle, so it has been safely removed by expert handlers. Mr Bowen did manage to capture some video footage, without getting too scorched! 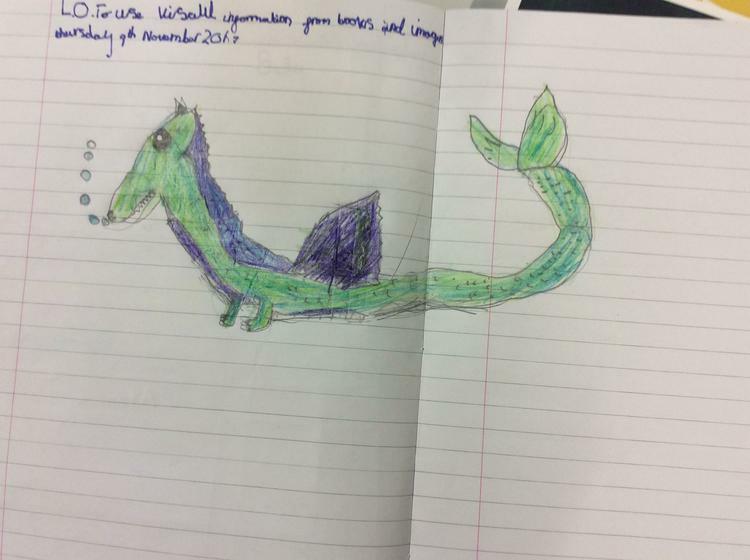 Today, Year 4 took delivery of a letter from Dr Drake, telling us all about where our dragon hatchling has been for the past few days! 24/11/17 Year 4 Maths Masters! 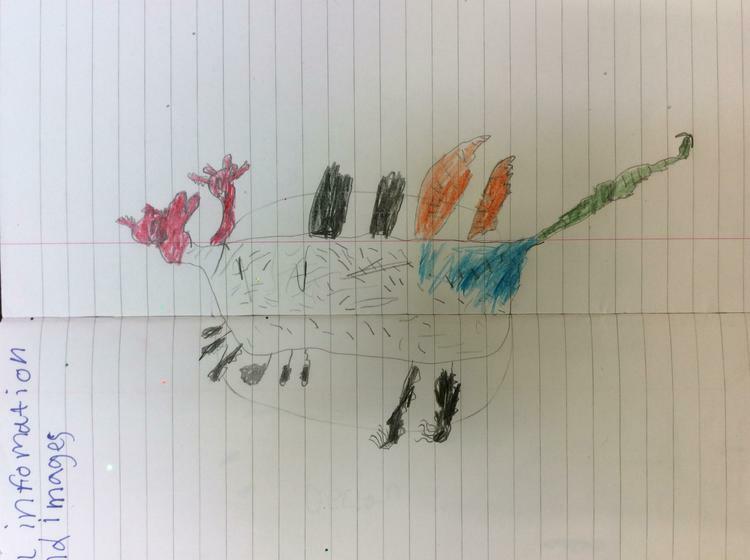 It has great to hear the news today that Year 4 had taken second place in the Monmouthshire Sumdog competition. It was a brilliant team effort by Year 4, combining all their efforts and scores to take position in the top 4 schools, especially when the other schools on the leader board were secondary schools! 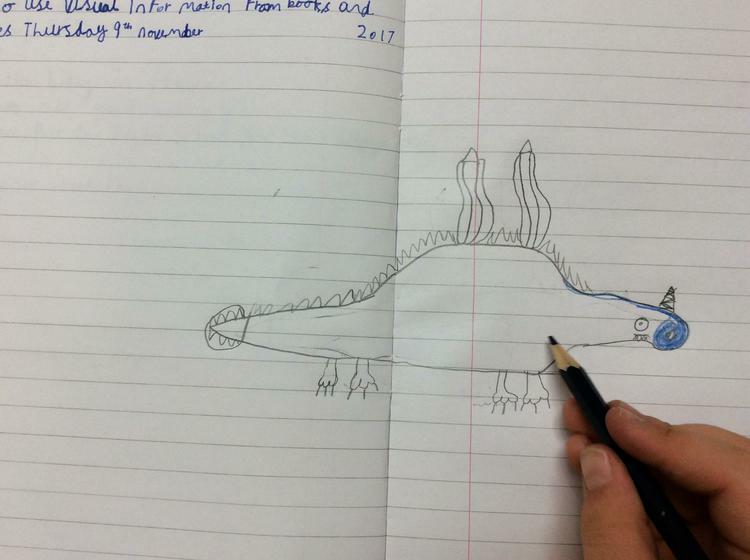 29/11/17 Year 4 get slimy with The Creakers! Thank you to all Year 4 parents and relatives who have found themselves up to their elbows in slime this week! 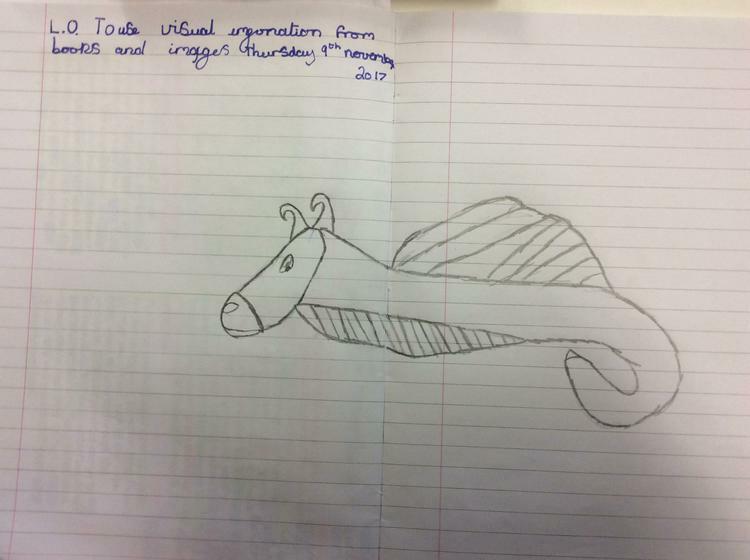 The slime also helped us to imagine what The Woleb (the rubbish filled land where The Creakers live in our class story) would be like. Yuck!